In 1907, when she was 21 Edith married Ernest John Doswell. There aren’t many details of this great day, just that it was registered in the District of Basingstoke. This is where Ernest was born, currently lived and would eventually die. Basingstoke is in Hampshire, not far from Dummer and Winchester – which was where Edith was working as a domestic servant in a Ladies School when we last saw her in 1901. 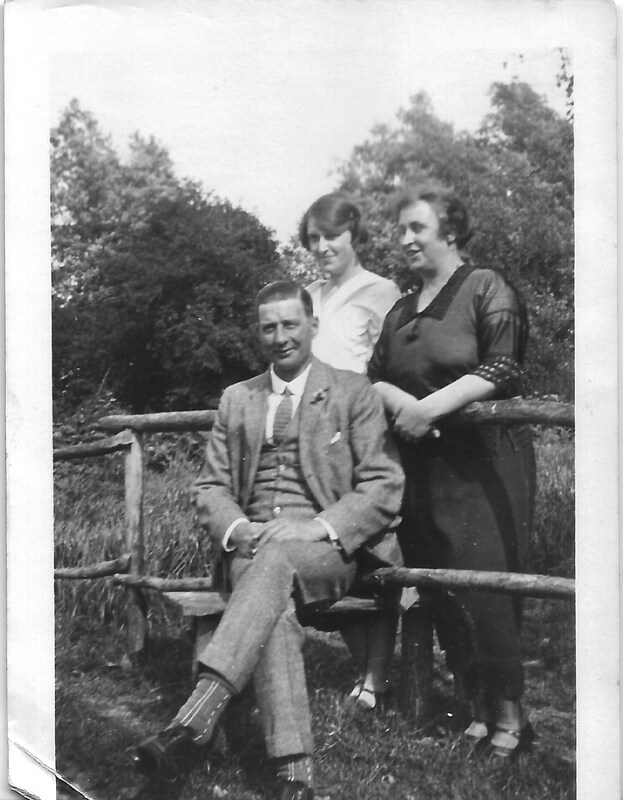 Ernest was a couple of years older than Edith, born in 1884 to George and Mary Doswell. He had an elder brother, George and two younger sisters, Emily and Elsie. In 1901 he was living at home and working as a painter. His father and elder brother were working as fitters in a foundry so it appears Basingstoke was a more industrial town than Dummer. Other occupations in the street included Railway workers, General Labourers and Bricklayers. This entry was posted in CLEEVE, Dummer, Edith Maud W Cleeve and tagged Basingstoke, Dora Doswell, Ernest John Doswell, Winchester. Bookmark the permalink. My name is Jane Doswell. I have done a little bit of our Doswell family tree. I need to check our records, but John Wise, my great grandfather, was adopted by George Doswell who lived in Kent arournd 1869 (or a bit later perhaps). John took on the Doswell name and had children. I am not sure about John’s brothers and sisters (who perhaps were George’s true children). I wonder if this is the same family? I think my late father made contact with some Doswells and there are some others in Devon (where I now live). I wonder if you can shed any light on our Doswells! ?